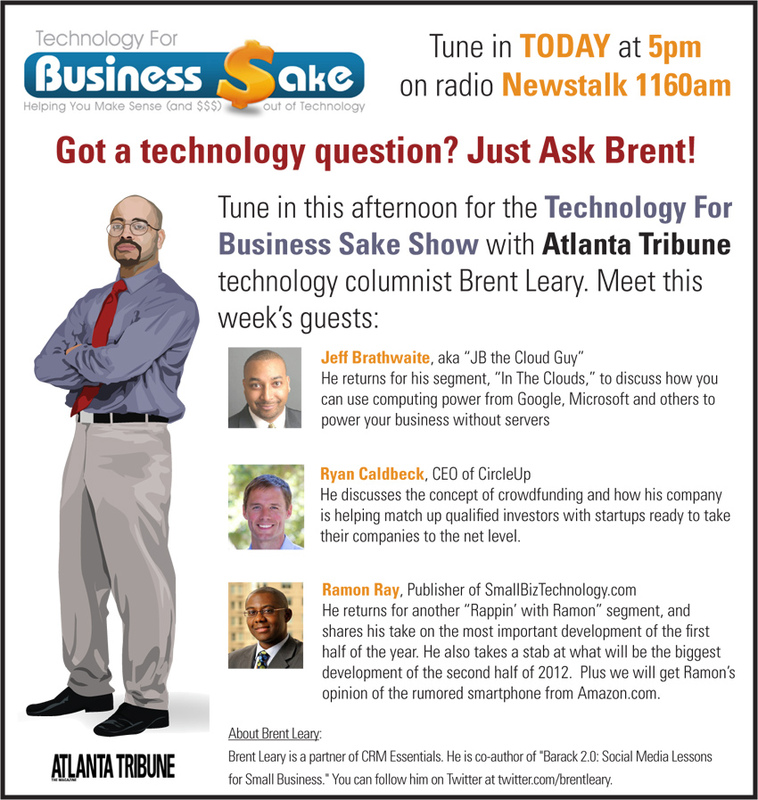 Tune in today at 5pm to Technology For Business Sake Radio with Brent Leary. If you have a question about technology, Just ask Brent. If he can’t answer it he will pose the question to one of the many experts he brings on the show. This weeks guest, Ryan Caldbeck, Ramon Ray and yours truly JB Brathwaite talk about everything from Crowdfunding to Cloud Computing to the future of technology in the second half of 2012.